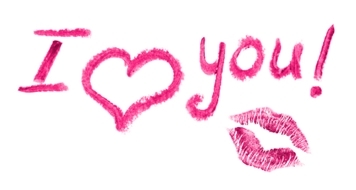 I Love You, in 50 different languages - The ways to say, “I love you” are so many as there are languages. Here you can find "I Love You" in 50 different languages. In every language this sounds different and also that depends on languages intonation, for that reason “I love you” can sound tenderly, a little hard or even rudely. 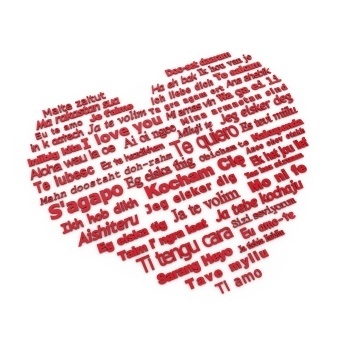 The phrase “I love you” has different length in the other languages. It can be only one word or more than four or five words. Every one will be happy to hear the words “I love you” from someone, who is close to him. It’s very nice and one big surprise for your girlfriend/boyfriend to say her/him “I love you” in 50 different languages or to write this in a love letter. 50. in Spanish – Te quiero / Te amo . So, now you can make a surprise to your girlfriend/boyfriend, to your mother, father, to your best friend or to someone else, who you whish. That way you will make the person that you are in love with, feel a lot better. The reason for that is the fact that when you manage to tell someone, I love you, that you really love him or her in 50 different ways, he or she will see that you really love the person. Remember that to make sure that you will keep the love alive you will have to make everything possible to make some small surprises each day and there is no better present than to tell someone “I love you”. When you want to learn how to say, “I love you” in some more languages, you can search for this in the Internet, because there are many websites, where you can find more than 50 or 100 ways to say, “I love you” in different languages.